To hold space and sit with another in their experience is one of the greatest gifts we can give to each other, ourselves, and our community. 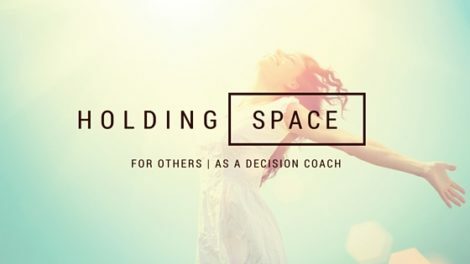 “Holding space” is something we often first encounter in our yoga community. It’s hard to describe. Perhaps it’s during Savasana when we sense a stillness supported by our teacher that allows us to surrender more deeply. Or perhaps we know in ourselves that this is what we are called to do when a fellow classmate is struggling—to just witness them with a loving heart. We may experience or offer this expression of support and love in our local yoga studio, practicing outside with a friend, or at a festival or gathering with our tribe.